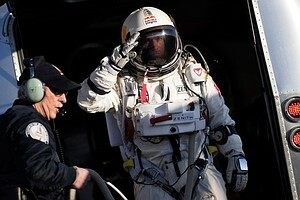 Have you read the crazy news about Felix Baumgartner’s supersonic jump yet? Well before blogging about this i wanna say hello world.. almost 3 months i haven't write anything on this blog. Ok so how about Felix Baumgartner’s supersonic jump?? This crazy guy has set the world's records as the highest human freefall. and the first human who break the speed of sound! !